The Zoom Addon for Envira Gallery will easily allow you to give your lightbox images a zoom effect on hover or by a simple click from your users. We’ll walk you through how to set up your gallery lightbox images to allow the zoom on hover (or by click) when your visitors view your lightbox images. Why isn’t the zoom effect very noticeable for my images? In this instance, you’ll be activating the Envira Zoom Addon. 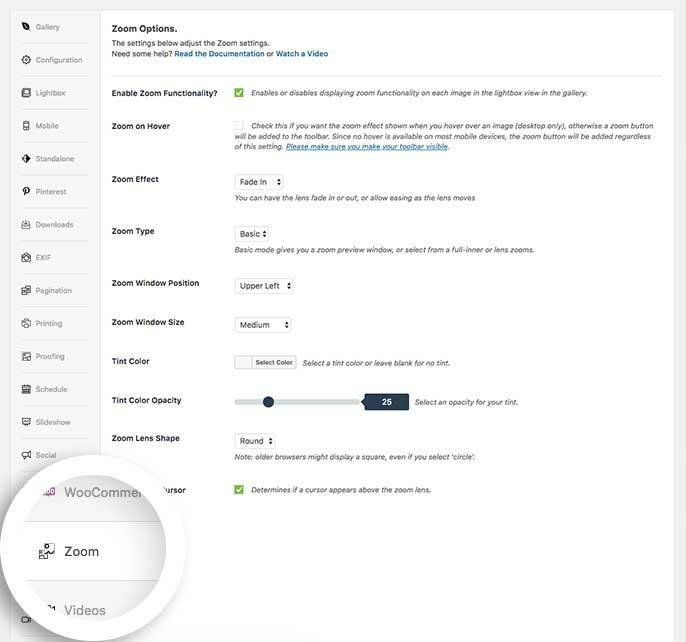 Next, navigate to the Zoom tab and check the box to Enable Gallery Zoom Functionality? Then continue to set up the remaining options for your zoom settings. Would you like to add the zoom effect on your gallery images? Take a look at our CSS tutorial on How to Zoom Thumbnail Images on Hover. Q: Why isn’t the zoom effect very noticeable for my images? A: The original image size must be large enough to support zoom. For example, if the image is displayed at 500 x 500 pixels in lightbox view and the original image uploaded is 500 x 500 pixels, when using zoom there will be no noticeable zoom effect on the image. However, if the image is displayed at 500 x 500 pixels in lightbox view and the original image uploaded is 1000 x 1000 pixels, when using zoom the image will be magnified by 2x. These same principles are applied if zoom is enabled for the gallery view. Fix: Resolved issue where cursor disappears behind image in certain scenarios. Fix: Compataiblity with Fullscreen Addon. Fix support for other addons buttons over Lightbox. Fix zoom activating when window is resized. Fix: Removing slight "jump" on certain images in lightbox.